Why Ubtan Is Ayurveda's Best And Most Effective Concoction Yet! If you haven’t already heard about the goodness of the au-natural ubtan, well let us take you through it. Ubtan, traditionally, is the oldest and most pure form of a cosmetic that was ever created. Made with simple yet powerful ingredients, Ubtan is a magical face mask that pampers your skin leaving it rejuvenated. It is so powerful that an entire wedding ceremony is dedicated to it, but hey, you don’t need to get married to use it. So let's find out what makes this all-herbal product such a magical concoction. Going back several centuries, Ubtan was and still is, regarded as one of the most sacred ayurvedic cosmetics that has healing properties. Prepared by mixing herbs and essential oils, ubtans were at one time made with coarsely ground legumes. It was considered as the perfect cleansing agent, and in many ways, it still is. According to Ayurveda, one should make an ubtan in accordance to your dosha or the imbalances in your body which cause skin damage or ruptures. Doshas are the base of Ayurveda medicines and are categorized into Vatta, Pita and Kapha. Ubtans for Vata dosha are meant to moisturise the skin and should be used at normal body temperatures. While Pitta facial ubtans are used for cooling effects on the skin so that they extract the heat and other heat-related out of your skin. Lastly, Kapha facial ubtans are beneficial when used with a warm liquid that helps stimulate the natural flow of body fluids. A herbal paste, Ubtan is made using milk or milk powder, gram flour (besan), almond powder, turmeric (haldi), milk cream, lemon juice, and rose water. Essentially, all the ingredients that can be found easily at home, and don’t require you to spend a fortune on. What is Vatta, Pitta, and Kapha? Vatta, Pitta, and Kapha collectively are known as the three doshas in Ayurveda. These three doshas make for the biological energies that govern the human body. It is believed that imbalances in these three doshas become the reason for human ailments and have an adverse effect on our health and overall being. Vatta dosha comprises of space and air, Pitta dosha is governed by fire and water, and Kapha dosha is mainly energies from water and earth. Ubtan is a natural face mask that’s filled with loads of goodness. When applied regularly, it leaves the skin feeling fresh and hydrated. The gram-flour is a great exfoliator and sandalwood or chandan powder makes the skin smooth. The milk helps to lighten the dark spots on the skin that makes the skin look bright, spot-free, and gives you that glow. So many of us suffer from skin problems like uneven skin or pigmentation, acne scars etc., well, ubtan is your one-stop-solution to get the clear, flawless skin that you always wanted. In fact, ubtan for body can be used to reverse the skin damage caused by extreme sun exposure. Turmeric or Haldi, which is known for its healing properties, is the main ingredient in ubtan. This super ingredient is known for its anti-inflammatory, anti-aging, and anti-oxidative properties, and makes the skin appear more youthful by retaining the lost moisture from the skin and treating flaky-dry skin, which is a sign of aging. These are few beauty benefits of using turmeric. A gentle and regular facial scrub with ubtan can help remove facial hair naturally and safely. It is a very effective and inexpensive way to get rid of that peach fuzz on the face. In fact, back in the olden days, newborn babies were massaged with special ubtans to remove their body hair permanently. Ubtan not only makes your skin’s texture soft and smooth, but it also has some medicinal properties that help reduce acne. Haldi (turmeric) and chandan (sandalwood) have anti-bacterial and antifungal properties that help minimise acne by keeping the underlying infection in check. Sandalwood powder or chandan is known to act as a natural astringent for the skin. When used regularly it tightens your pores and gives your skin a firm and youthful look. Make ubtan a part of your daily beauty skin regime. Not only will it help tackle all your skin problems, but it will also leave you with noticeably soft, glowing skin. A good quality ubtan for body is necessary to find to suits your skin type and to tackle nagging skin troubles such as dark spots, whiteheads, pigmentation, dryness, and skin damage from sun exposure. Before we get into the recipes, let’s take a moment and stress on the fact that every skin type is different, and doing a small patch test before trying any new skin care method is a must. Using the right type of skin product that suits your skin type will help repair, and maintain your skin’s barrier, reinstate a healthy glow to your skin, and reduce skin related problems. How to Make Ubtan For Daily Use? To make ubtan for daily use you will need, 1 tablespoon sandalwood (chandan) powder, 2 tablespoon chickpea powder (besan), ½ tablespoon turmeric powder (Haldi), 2 tablespoons raw milk, a mixing bowl, and an applicator. Take a bowl, add all the dry ingredients and mix well, then add milk. Using the applicator, mix all the ingredients to make a paste that is not too thick nor too runny or lumpy. The consistency should be enough to spread over your skin smoothly. Apply this paste to your skin for about 15-20 minutes or till it dries. Once the mask is dry, wash it off with lukewarm water. Avoid applying soap or face wash after washing your face as the ubtan does it for you. This ubtan can be applied daily as it is a great replacement for soaps and face washes. If you don’t want to use it every day, use it at least three times a week, in order to see the difference. Raw milk is known to fight many skin conditions, especially pigmentation and dark spots. It further hydrates the skin and helps to control oil secretion. Sandalwood, on the other hand, soothes and leaves your skin feeling smooth, while the chickpea flour helps to exfoliate dead skin and turmeric acts as an antiseptic. 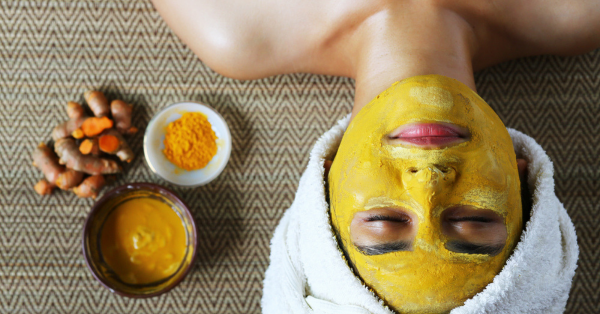 A bride-to-be at the time of haldi is ordained with ubtan, a face pack that helps to exfoliate skin and give out the bridal glow. Apart from being a tradition, ubtan for bride works as a beauty enhancer. The ubtan is applied to the bride as a traditional method of getting rid of dead epithelial cells. It also acts as skin softening agent. Ubtan for bride is prepared along with gram flour, wheat bran, yogurt and a turmeric. A paste is formed and applied on the bride for 20 to 30 minutes. Thereafter, it is washed off with rose water to detan skin for that radiant glow. Ubtan for brides can be made using a lot of ingredients such as gram flour, oatmeal, nuts, sandalwood, etc. 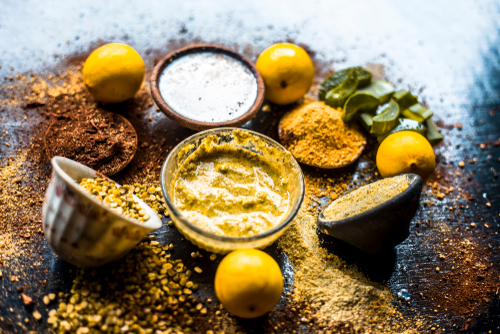 However, the traditionally this paste is prepared using 1 tablespoon wheat flour, 1 tablespoon besan, 1 tablespoon sandalwood powder, ½ tablespoon turmeric powder and 2 tablespoon yogurt. Mix and form a paste and apply on the skin for 20 - 30 minutes. Wash with rosewater. To make ubtan for face you will need, 1 tablespoon oatmeal, 3 tablespoons chickpea flour, 2 tablespoons sandalwood powder (chandan), ½ tablespoon turmeric (haldi), 2 tablespoon ground cucumber, and a mixing bowl. To make the ground cucumber simply add ¼ of the cucumber in the grinder and grind till you have a rough consistency. How To Make Ubtan for Face? To make the paste, start by mixing all the dry ingredients in a bowl, then add the cucumber paste and mix everything well till you get the desired consistency. Let it sit for 5 minutes so that the goodness of all the ingredients can be absorbed in the paste well. To use this ubtan, take a handful an apply on your face and start massaging your face in circular motions with the same. Do it for at least 5 to 10 minutes, and follow by washing your face with lukewarm water. Do not apply soap to your face after scrubbing your face with the natural ubtan. A scrub is a great way to get rid of the all the dead skin cells and other pollutants that get accumulated over time. A good scrub once a week or in ten days keeps the skin healthy and breathing fresh. Make sure you follow your scrub with a toner or a face mask, as your pores are open and exposed after a scrub. A face mask or toner will help close up those pores. Unfortunately, while cucumber is known to be a great vegetable that hydrates, many are unaware of the skin-benefits it carries. Being an antioxidant, it helps remove dead skin cells and treats sunburn or any other sun damage caused to your skin. And oatmeal, on the other hand, is a great and most inexpensive exfoliant available. This mask will help remove those subtle and early signs of ageing and will leave your skin looking radiant. To make this moisturizing ubtan you will need 6-7 almonds, fresh milk or milk cream, 1 tablespoon sesame oil, 1 tablespoon tulsi powder, 3 Tablespoons chickpea powder, 2 tablespoons sandalwood powder, and ½ tablespoon turmeric powder. How To Make This Ubtan? To make ubtan, take some fresh cream or milk in a small bowl and soak almonds in it overnight. Make sure the amount of cream or milk used is just enough to cover the almonds. In the morning peel the almond skin and add sesame oil, tulsi powder, and grind it together to make a thick paste. Apply this ubtan mask to your face and leave it on for 10 to 15 minutes, followed by washing your face with some lukewarm water. You can use this face pack twice a week to enhance the skin’s texture since it’ll increase the moisture level in your skin. Make a little extra so you can use it for the whole week. While sesame oil and tulsi powder are great ingredients they may or may not suit every skin type. Hence it is essential to do a patch test. To do the patch test, apply some of the ubtan made on the inside of your elbow and wait for five minutes, if you feel any burning sensation or itching, remove the ubtan immediately, wash it off, and apply some ice. If the patch doesn’t irritate or burn, it’s fine to use. This patch test can be done for any new face pack that you wish to apply to make sure it suits your unique skin type. 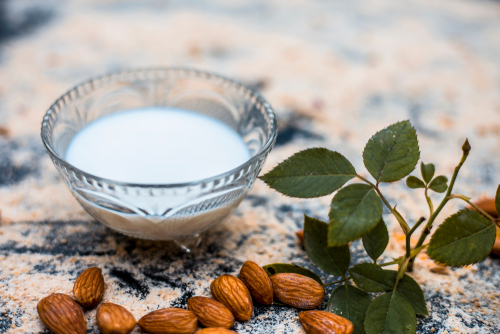 Almonds and milk is a great combination to fight skin damage. Filled with the goodness of Vitamin A, almonds help fight any type of agitation or rashes on the skin, and tulsi acts like an antiseptic that clears acne and other infections. Sesame oil has both antibacterial and anti-inflammatory properties, and since it’s high in antioxidants, it is easily absorbed by the skin. Pro tip: this ubtan works very well for oily skin. To make this concoction, you will need, 1 tablespoon wheat flour, 1 tablespoon chickpea flour, 1 tablespoon sandalwood powder (chandan), ½ tablespoon turmeric powder, 2 tablespoons rose water, and a mixing bowl. Take a bowl, add in all the dry ingredients, and slowly add rose water to get the right consistency of the paste. Once you get the desired consistency of the ubtan, apply it on your face for about 15 to 20 minutes or till you can feel the mask has completely dried. Wash your face with cold water and moisturise well. In case you have dry skin, replace the rose water with milk or milk cream and you’ll see a major difference. This mask should be used daily for a period of 10 to 15 days if you really want to see effective results. And the best time to do these treatments is before sleeping because your skin can then benefit from the goodness of these ingredients while you rest. 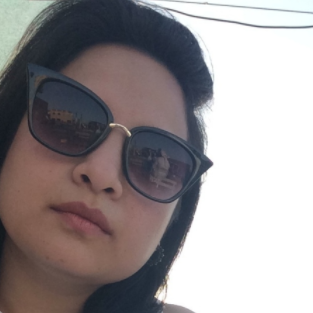 Read here what happens when you swap your face wash with ubtan for a month. Wheat flour is a great exfoliant and is known to help regenerate skin cells, giving a skin-lightening effect. Rose water acts as a toner or astringent, tightening your pores and giving it a new and improved look. Dark patches and tan are our worst enemies when it comes to having a even-toned, flawless skin. And, if you’ve been suffering from the same, this ubtan will take care of your skin woes. To make this ubtan, you will require the following, 1 tablespoon of chickpea flour, 1 tablespoon milk powder, 1 tablespoon of sandalwood powder, ½ tablespoon turmeric powder, 2 tablespoons honey, 1 tablespoon lemon, and a mixing bowl. To make the ubtan, put all the dry ingredients in a bowl and mix well. Next, slowly add honey, lemon juice, and milk one by one to make a thick paste. Make sure there are no lumps in the ubtan. Let the paste sit for 5 minutes. Apply it for 15 to 20 minutes and then wash it off with lukewarm water. This ubtan can be applied at least twice a week to get the best results. Lemon and honey are a great combination to fight tanning and pigmentation together. Honey is also a great hydrating agent for your skin. People with oily skin should opt for ubtans that reduce the natural oil secretion which results in acne etc. Add ingredients like curd, besan, haldi, lemon etc to the ubtans you make since they’ll help reduce the oiliness. When making an ubtan for dry skin, try adding ingredients such as honey, milk or milk cream, and curd as this help retain moisture in the skin. Having a normal skin type means that you have a good PH-balance and most of your skin troubles are at bay. When making an ubtan for normal skin, one can include ingredients like bananas, lemon, turmeric, besan, honey, yogurt, etc for smooth silky skin. Technically there are no side effects to ubtans, however, like we mentioned before since the ingredients are pure and organic, they may or may not suit every skin type. Hence it is essential to do patch test so that you know what suits your skin best. One can also work with ingredients that work best for their skin type. For eg., as mentioned above, a person with oily skin should avoid cream or honey-based ubtans and should use rose water instead. This gentle exfoliating ubtan helps purify and deep cleanse with its perfect infusion of herbs like Basil, Turmeric, Fenugreek, and Multani Mitti. Perfect for acne prone skin. This body wash is power packed with essential herbs and minerals to promote healthy and fresh skin, and is perfect for people with oily skin. A warm and stimulating herbal concoction, it leaves you feeling refreshed and exfoliated. Regular use helps balance oily skin conditions and tones the skin surface, helping reduce the appearance of cellulite. This bridal ubtan is made to bring out that perfect glow in the bride-to-be by giving her skin a dose of antioxidants, and by repairing skin damage caused by sun exposure. This 100% Vegan Ashwagandha Skin Illuminating Face Ubtan provides extraordinary smoothness and glows to the skin. This illuminating face ubtan is specially prepared by combining unique natural moisturizers along with selected ayurvedic herbs. Made with herbs such as orange peel powder, rose powder, anantmul, jau powder, mulethi, manjishta, neem powder, rosehip oil, orange oil, mandarin peel oil and Multani mitti, this ubtan suits all skin types, and is paraben-free. 1. Will my skin get fairer if I’ll start using ubtan? Answer - All skin types are beautiful in their own way, but if you are obsessed with fair skin tone, then ubtan can surely help you in that case. 2. Do ubtan really work to remove facial hair? Answer - Yes, ubtan helps to remove facial hair. You can use a turmeric gram flour to remove facial hair, just mix it with adequate quantity of water to make it a paste and apply a thin layer on your face, when the paste will get dry, rub the paste gently with the help of your fingers or a clothe. An ubtan is a perfect exfoliation agent that helps to remove facial hair. Also, you can even add tea tree oil to the ubtan to help inhibit hair growth. 3. Does turmeric ubtan removes hair permanently? Answer - If you will start using only turmeric ubtan to remove hair every time, then gradually ubtan will slow down the hair growth that will eventually stop hair growth naturally and permanently. 4. Will my skin start to glow naturally with the usage of ubtan? Answer - Yes, Ubtan is a customary Indian beauty paste that is used to bring the natural glow to the skin. Traditionally, ubtan has been applied on would-be brides to make them look all glowy on their wedding day. So, you can use it too to have glowing skin. As we said, it’s au natural. So, time to go back to your roots. You won’t regret it!